Gottlieb Muffat, youngest son of composer and Kapellmeister Georg Muffat, was a keyboard virtuoso whose career was based around the Viennese Imperial Court. Muffat, with his own elegantly ornamented style, absorbing influences from Germany, France and Italy, is remembered as a composer from whom Handel borrowed extensively- a common practice of the period. These premiere recordings represent the remarkable rediscovery of manuscripts sequestered and dispersed after the Second World War. 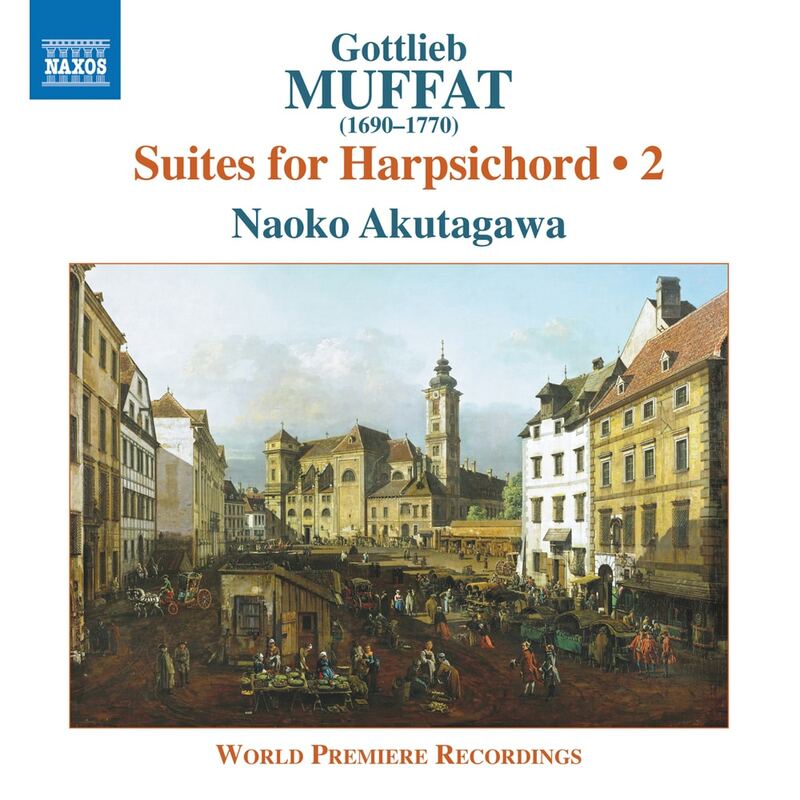 Naoko Akutagawa’s previous recordings from Muffat’s Componimenti musicali were described by MusicWeb International as ‘galvanically virtuosic.’ Naoko Akutagawa was born in Hiroshima in 1974, and began playing piano at the age of three. At 16 she switched to the harpsichord, studying first at the Toho Gakuen School of Music, and then at the Hochschule fur Musik Wurzburg, Germany, as a student of Glen Wilson. Her recordings have been broadcast by the BBC and the Australian Broadcasting Corporation.